With Cuts in Federal Funding Likely, What Will Become of Legal Aid? 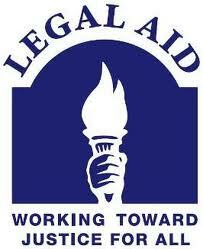 There are many public and private organizations across the country providing legal assistance to low-income individuals. Day in and day out, dedicated and skilled lawyers work long hours, for relatively low pay, helping members of their community with important legal issues. The U.S. Constitution entitles you to a court-appointed attorney only in criminal cases. In civil cases (basically, any legal proceeding not criminal in nature), including bankruptcy, personal injury, eviction, and foreclosure cases, none of the parties are constitutionally entitled to an attorney, no matter how important it is, how ruinous an adverse result would be. Accordingly, legal aid organizations provide a vital safety net to low-income individuals who would otherwise have to go without legal services when they need them. Many of these programs receive federal funding, either directly or indirectly. As with many programs that today’s budget hawks view as unnecessary, federal funding for legal aid is on the chopping block. Some legal aid organizations receive no federal funding, or the funding they do receive accounts for a small percentage of their budget (with donations or endowments making up the rest). So, no matter what Congress does, legal aid isn’t completely going away. However, these programs already have limited resources, and with the number of self-represented parties increasing steadily, many of them are stretched extremely thin. Sometimes, they have to turn potential clients away because they simply don’t have the time or resources to help them. Also, most of these services are means-tested, meaning that a person’s income must be below a certain amount in order to qualify for services. In theory, this ensures that people who can afford an attorney, but don’t feel like paying for one, don’t consume the time and resources that these organizations could spend on people who really have nowhere else to turn. In years past, this usually worked pretty well, with legal aid organizations being able to draw a pretty sensible line between those who can afford an attorney, and those who can’t, and helping those who can’t. In the past few years, however, the recession and the collapse of the housing market have created a whole new group of people who need legal representation, and can’t afford it: middle-class families who have too much money to qualify for most legal aid services, but can’t afford an attorney. If these funding cuts go through, the problem is almost certain to get worse. The consequences of this are hard to predict, but it’s difficult to see how they could be good in any way. It’s likely that many individuals and families who saw their homes foreclosed on may well have had some valid legal defenses to foreclosure. Besides being a gross injustice in itself, this probably also has negative economic consequences, as any wrongful foreclosure would almost certainly result in a major disruption of the victim’s life, possibly causing the loss of a job, or making it far more difficult to find a job. Additionally, financial stress is a contributing factor to domestic violence. Many legal aid organizations are dedicated to assisting victims of domestic violence, helping them get restraining orders against their abusers, navigating the bureaucracy of getting them into temporary public housing, serving as an intermediary between the victim and the police, helping the victim get a divorce from their abuser as quickly as possible, etc. Victims of domestic violence are some of the most vulnerable people in our society, and they are often the people most in need of free or low-cost legal services. It should go without saying, then, that any cutback in funding for legal aid organizations is going to have a seriously detrimental affect on the victims of domestic violence. I understand that the federal budget is tight, and that, in order to reduce the budget deficit, some programs will need to be cut. However, most budget experts agree that there is no realistic path to a balanced budget that does not include both spending cuts and some (relatively small) tax increases. Furthermore, the total amount of federal funding to these legal aid programs is likely miniscule. Let’s say that these programs got a total of $1 billion (and it’s likely far less) in federal funding. The federal budget deficit is over $1.6 trillion. In case you’re wondering, one trillion = 1 billion times 1 thousand. That means that even at the largest estimate, these programs make up less than 1/1000 (0.1 percent) of the federal deficit. That’s barely a rounding error. Now, I know that every program facing cuts is going to have somebody lobbying for it. Unlike farm subsidies, military contracts, and other big spending items, however, the people lobbying for funding to legal aid organizations don’t have much clout in Washington, or state capitals.